← Need to get away or son/daughter getting married. When I retired early I was a little concerned about if we would have enough income from my company pension and investment. We decided to take Social Security early as backup. Back then you had the option to payback what you collected from Social Security without any interest on that money. So in theory you could borrow the money, pay it back before you reach 70, then reapply for your Social Security at age 70 to get the higher amount. Well this was to good to be true, they have now discontinued this, even though not many people used this option. So before you take your Social Security early at 62 please think through all your options, your health, if you are married, if you really need the money now, remember at 65 medicare part ‘B’ is taken out of you payment, further reducing your payment. 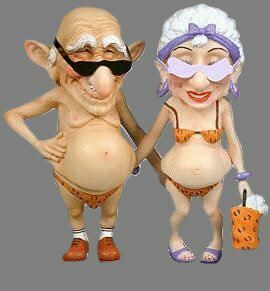 Remember if you are married and your spouse dies, the surviving spouse gets the higher of the two Social Security payments. If they both are low you only get one. If you take Social Security early that amount is now fixed lower for life. Normally if you take Social Security early at 62 you break even if you died between 75 to 80, but again you have to calculate your own individual rate. Obviously you lose out if you live longer and your spouse had to live on a lower Social Security. So really think and plan ahead before taking Social Security early, also consider with everything that is going on with the government they may discontinue the early option. This entry was posted in Income and tagged income, retireearly, SocialSecurity. Bookmark the permalink.